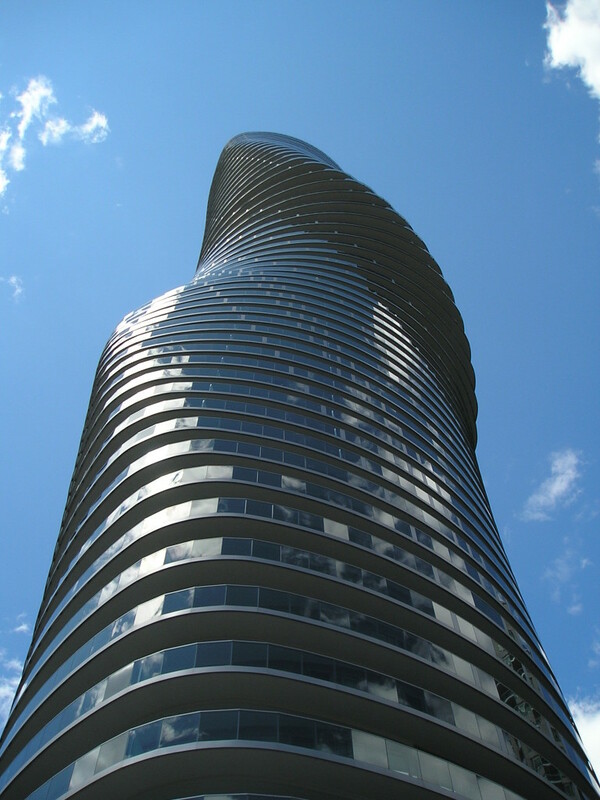 Square One condos are located in the City Centre area of Mississauga, surrounding the Square One shopping mall. The first condos in this area began to appear in the late 1980’s, and today, this area has a concentration of highrises that rivals that of any suburban city in North America. Today, many people prefer the condo lifestyle, and there is indeed a “condo culture” that has grown in the past 15 years or so, where the various aspects of the different projects are passionately debated among both owners and prospective owners. There has been a huge supply of Square One condos , Mississauga‘s primary source of new housing stock, that has come onto the market over the past dozen years, building upon an earlier first wave, which produced a base group of various high rise properties surrounding the mall in the late 1980’s and early 1990’s. Living near the Square One mall has many benefits: close proximity to the 300+ stores in the mall, having a major public transit terminal on the periphery of the mall, proximity to the new Sheridan College campus, Celebration Square, and much more. Despite of being located in a suburb, Square One condos often feature walkability scores that are equal to many of those found in downtown Toronto.